1810 Fryderyk Francois Chopin is born in Zelazowa Wola, 54 kilometers from Warsaw, by his own statement on March 1, on February 22, according to the entry in the register of births; arguments as to the precise date continue. 1816 The six-year old Chopin begins to learn the piano with the Czech teacher, Wojciech Zywny (1756-1842), who used to base his teaching on Bach and Mozart. 1817 First efforts at composition: the Polonaise in B flat major, written down by his father, and other dances, as well as marches and variations now lost. 1819 As a so-called "child prodigy", Chopin begins to play in such aristocratic houses as those of the Czartoryski, Sapieha, Czerwertynski, Radziwill, Lubecki, Skarbek, Tenczynski, Zajaczek, Zamoyski, Mokronowski, Grabowski, and other families. 1822 Completes piano studies with Zywny and begins private composition lessons with Josef Elsner. He enters classes at the Warsaw Lyceum in September of 1823 concentrating on classical literature, singing, drawing, music theory and harmony. 1826 He completes his studies at the Warsaw Lyceum on July 27 with commendation. Among his friends there was Julian Fontana. In September, he enrolls at the Fine Arts Department of the Warsaw University. There he composes his Sonata in C minor op. 4 and the Variations in B flat Major on the theme La ci darem la mano op. 2 from Mozarts Don Giovanni. 1829 First visit to Vienna where he played concerts and received critical acclaim. The audience's response was very favorable and Chopin was impressed with the warm acceptance of his music and pianistic abilities. 1830 Performs the Concerto in F minor with a small orchestra for family and friends. Then gives its premiere in Warsaw's National Theater on March 17. On October 11, he played the Concerto in E minor at the National Theater. From this period also came the Rondo a la Krakowiak, Fantasia on Polish Airs, and some of the Etudes op. 10. He is upset about the political situation in Poland and the Warsaw uprising. 1831 While in Vienna he continues to compose some Mazurkas and Etudes, attends the opera and immerses himself in the local musical life. According to some unconfirmed sources, the first sketches of the 1st Scherzo and Ballade originated in Vienna. He leaves Vienna in the summer, traveling via Linz to Salzburg, Munich, Stuttgart and Paris, where he settles in an appartment at Boulevard Poissonniere 27. More unconfirmed sources indicate that sketches of the Revolutionary Etude op. 10, No. 12 and the Prelude op. 28, No. 24 were composed in Stuttgart. First reports of his ailing health begin. 1832 On February 26, he gives his first performance in Paris at the Salle Pleyel playing the Concerto in E minor, and joined by other artists including Hiller, Osborne and Stamaty. In the audience were Franz Liszt and Felix Mendelssohn. In the summer, the poet Adam Mickiewicz arrives in Paris. Chopin becomes a well known teacher and frequents the best Parisian aristocratic, social and political circles. He dedicates his entire set of Etudes op. 10 to Liszt, whose way of playing them quite impressed Chopin. His relationships with the Paris' artistic and literary elite intensify. 1833-1834 Very productive time; a period in which the number of Chopin's editions greatly increases, published by the following: M. Schlesinger in Paris, F. Kistner in Berlin and Breitkopf and Hartel in Leipzig. Among the works are the Variations Brillantes, the Rondo op. 16, and the Waltz op. 18. Enters the soirees among Vincenzo Bellini's circle. 1835 Completes the Andante Spianato, Grande Polonaise Brillante, and the Scherzo No. 1. Prepares the Mazurkas Op. 24 and the Polonaises Op. 26 for publication. He later meets the poet Adam Mickiewicz. He travels to meet his parents and continues on to Dresden and Leipzig where he has a series of meetings with Robert Schumann, Mendelssohn. Chopin is very ill during the winter months and drafts a will and testament. 1836 His illness returns in the Spring, but in September he makes an offer for the hand of 17-year-old Maria Wodzinska. The engagement is kept secret. Later he travels to Leipzig and meets Schumann, playing for him fragments of the Ballade No. 2, some studies, nocturnes, and mazurkas. This is the year when the following works appear in print for the first time: Concerto in F minor, Polonaise Op. 22, Ballade Op. 23, Mazurkas Op. 24, Polonaises Op. 26, and Nocturnes Op. 27. In late October he meets George Sand at a soiree of Countess Marie dAgoult. He did not like Sand on the first meeting. 1837 Continues to work on the Etudes Op. 25, Mazurkas Op. 30 and 33, Scherzo Op. 31 and the Nocturnes Op. 32. He travels to London in the summer with Camile Pleyel. Upon his return, his relationship with Madame Sand intensifies. In October, he publishes his Etudes Op. 25 dedicating them to Countess Marie dAgoult. In November he writes the Trio from the Funeral March Sonata on the eve of the anniversary of the 1830's November uprising in Poland. 1838 The rave reviews continue in Paris. Chopin gives a concert in the Tuileries at the court of Louis Philippe I, then at a concert given by Valentin Alkan at the Pape salons. He also plays at the apartment of the Duc dOrleans. More impressive names cross Chopin's path: Victor Hugo, Eugene Delacroix, all attending the musical soirees where performances of Chopin's music took place, but also of his many welcomed improvisations. Sand, her children and Chopin leave for Majorca via Barcelona on the ship "El Mallorquin". 1839 As he awaits for his Pleyel piano from Paris, Chopin works on his Preludes Op. 28. Also from this period is Scherzo in C sharp minor and the Polonaises Op. 40. On February 13, he leaves Majorca as his health continued to deteriorate. After a week in Barcelona at the doctor, Madame Sand and Chopin arrive in Paris. He continues to work on those works, the Nocturne Op. 37, No. 2, more Mazurkas from Op. 41 and the Funeral March Sonata. 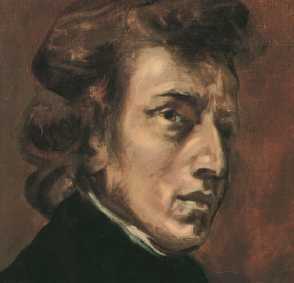 Chopin teaching methodology included works by Bach, Beethoven, Clementi, Hummel, Moscheles, Cramer, Liszt, Hiller, Thalberg, as well as some of his own Etudes and Preludes. 1840 His illness progresses as he continues to give piano lessons to members of the aristocracy. It was the fashion among the ladies and girls of Paris society to be known as a "pupil of Chopin". The following works were published during the summer: Sonata Op. 35, Impromptu Op. 36, Nocturne Op. 37, Ballade Op. 38, Scherzo Op. 39, Polonaises Op. 40, Mazurkas Op. 41, and the Waltz Op. 42. 1841 He continues to compose, among others: Polonaise Op. 44, Prelude Op. 45, Allegro de concert Op. 46, Ballade Op. 47, and Nocturnes op. 48. He later completes the Fantasie in f minor and begins working on the Mazurkas Op. 50. 1842 Chopins performances are regular and lucrative for him. He works on the Ballade Op. 52, Polonaise Op. 53, Scherzo Op. 54, the Impromptu, and the Mazurkas Op. 50. His popularity reaches Poland, where rave reviews and articles about him are written frequently. 1843 As his health worsens, his reputation increases. Wrote Heinrich Heine in Lutece: "Chopin is a great poet of music, an artist of genius who can only be mentioned beside Mozart, Beethoven, Rossini or Berlioz." Chopin and Sand go to Nohant in the summer where he works on the Nocturnes Op. 55 and the Mazurkas Op. 56. Composes the Sonata Op. 58 and perhaps the Berceuse in the summer and autum. 1845 His health continues to deteriorate as he composes and corresponds with friends and family. He also attends concerts in Paris and receives visits from the likes of Delacroix and Mickiewicz. He composes the Mazurkas Op. 59, completes the Sonata for cello, the Barcarolle and the Polonaise-Fantasie. 1846 This was the last summer at Nohant, a long and stormy one. He worked hard on the Nocturnes Op. 62, Mazurkas Op. 63, and the Sonata for cello Op. 65. "You will find many works, more or less worth of me; in the name of the affection which you hold for me, please burn them all apart from the beginning of my method for piano. The rest, without any exception, must be consumed by fire, for I have too much respect for my public and I do not want all the pieces unworthy of my public to be distributed on my responsibility under my name." In his last hours, as Pauline Viardot recounts, he still found the strength to say a warm word to everyone. and a citizen of the world by his talent has passed from this world." On October 30, funeral in the Church of St. Magdalene. Preludes in E minor and B minor as well as Mozart's Requiem were performed in accordance with his wishes. At the Pere-Lachaise cementary the Funeral March from the Sonata Op. 35 was played in Napoleon-Henri Reber's instrumentation. Also in accordance to his wishes, his heart was taken to Warsaw and placed in the Holy Cross Church in Warsaw.